This entry was posted on June 10, 2013 by Chillbrook. 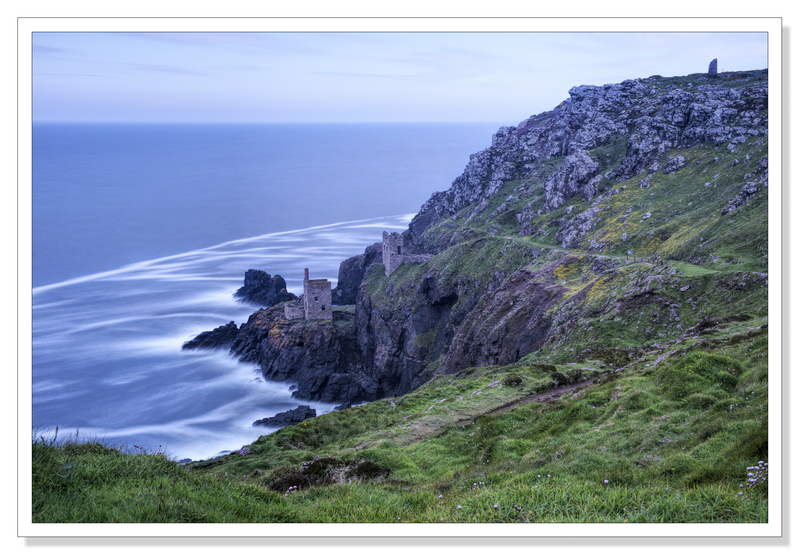 It was filed under Photography and Travel and was tagged with Cornwall, Cornwall Photographic, English Countryside, Landscape. Great shot Adrian, love that long exposure movement in the water. Thank you Mark. The light wasn’t great. This is an icon and much photographed landmark which comes into its own at sunset not first thing in the morning. So, I used the Lee big stopper to try and add a bit more interest to the picture. Thank you very much Hans. The ocean turns to silk as it meets the shore… A gorgeous contrast to the craggy beauty of the landscape. Thank you Lou. This is a very old tin mine that used to run under the sea. It’s said that the miners could hear the ocean above their heads while they were working. These engine houses were used to pump the water out of the mine. Very nice, Adrian…I’ll take it as my summer home…what a view…and it looks like an enjoyable walk to get there, as well. Thank you very much Gerard! So much of the Cornwall coast evokes solitude and mystery and draws me in. Beautiful photo. Thank you Lisa. It’s hard to imagine the life those miners must have had in the mid nineteenth century, toiling in shafts that ran beneath the sea, totally reliant on the engines, housed in those structures, that pumped the water out of the mine. A lot of miners drowned when shafts became flooded on occasion. The history of the working man in Cornwall is one of intense hardship whilst the wealth of the county, in the tin that was mined, kept a few in extreme luxury. The big houses and estates pay testament to that. Spectacular! I love the way the long exposure gives the water almost the look of clouds. Excellent big stopper shot, Adrian. Magnificent location. A wonderful capture landscape, Adrian. The bluish, cold cast is perfect for this picture, and I just love the soft and smooth pattern of the waves you have captured by using a long exposure time. Thank you Otto. Very much appreciated. This is more then outstanding Adrian! I enjoyed this image tremendously! I got a problem though, I am still as always listed as following you but your posts are not showing up in my Reader. I thought you just had not been posting. I went in manually by clicking on your name in a comment you made on my blog. Don’t know what’s going on. Hope this gets straightened out soon. Very beautiful shot ,really I like it , thank you . Always a thermos of tea Poppy! Thank you. It must have been a very hard life for these miners. Difficult to imagine.